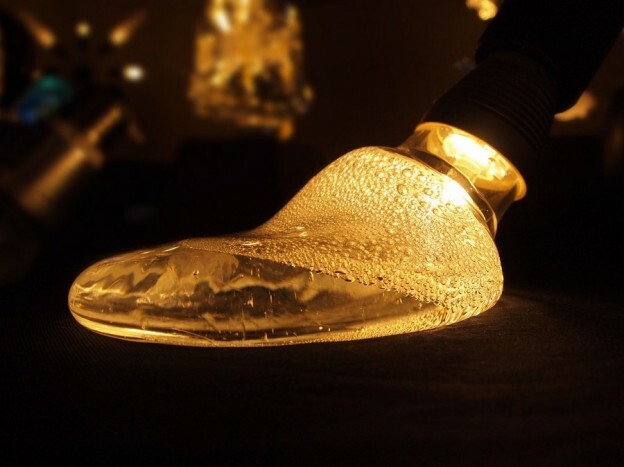 A new Japanese LED lighting retailer Only 1­ is differentiating itself from comptetition by offering uniquely hand made LED light bulbs, according to a report by Spoon and Tamago. One of the product range that stands out is Biei (meaning beautiful shadow) that is crafted by artisans. 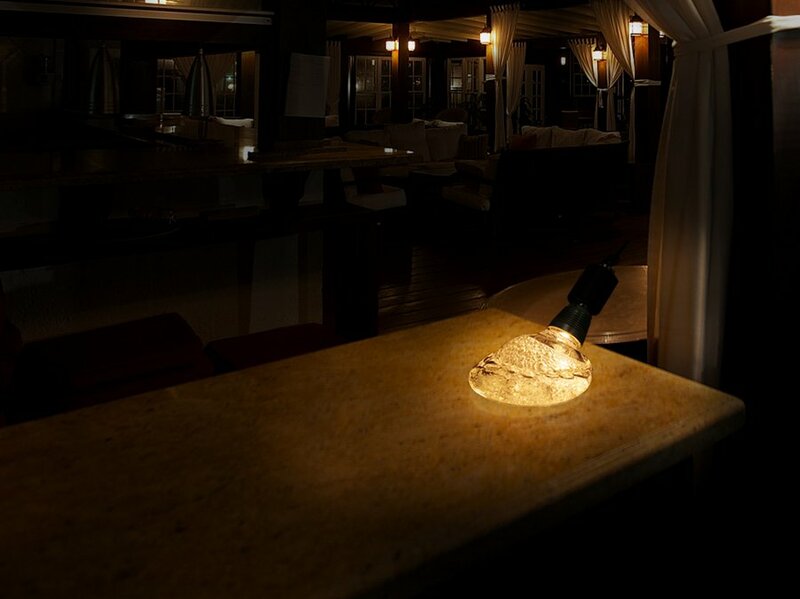 Inspired by molten lava, the LED bulb that appears slightly squashed costs JYP 37,800 (US $368.76). Molten Lava by Toshiyuki Yasuda. 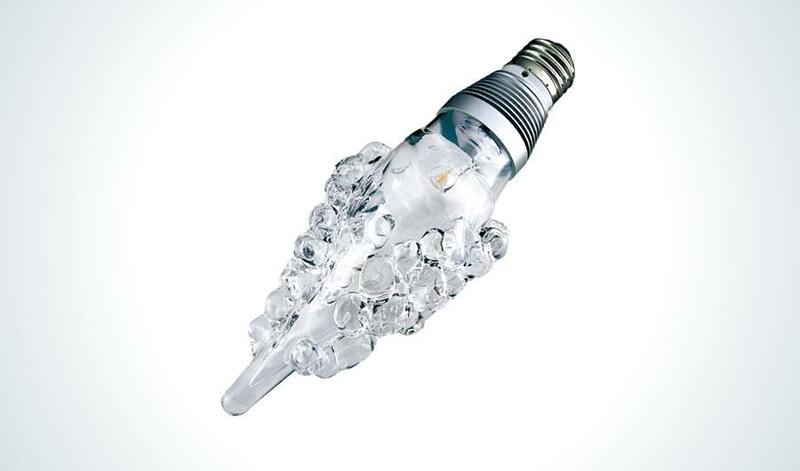 Mimicking grapes growing on a vine, this Grape LED light bulb (JYP 32,400) has small, round bubbles of glass attached to it. 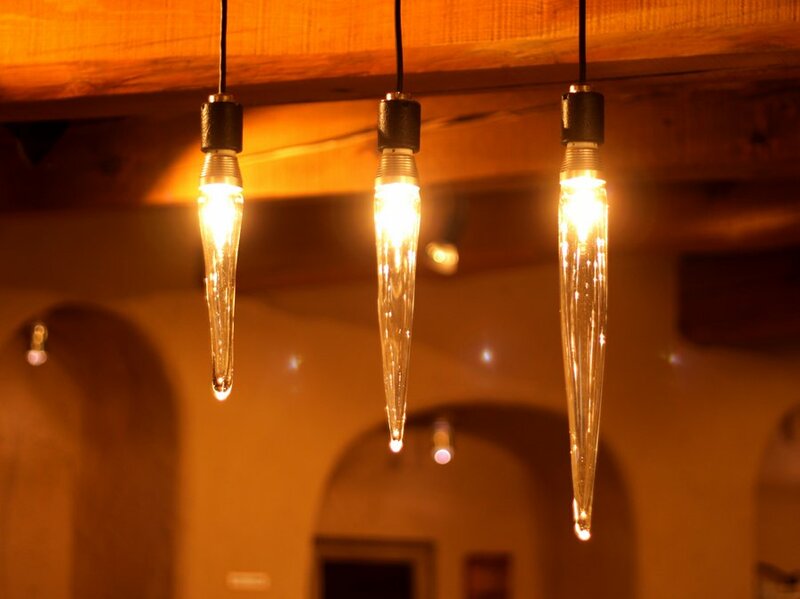 According to the report, these glass icicle bulbs were hand blown without using a mold, and were shaped by forces of gravity. Each piece costs JYP 21,600 to 25,920. 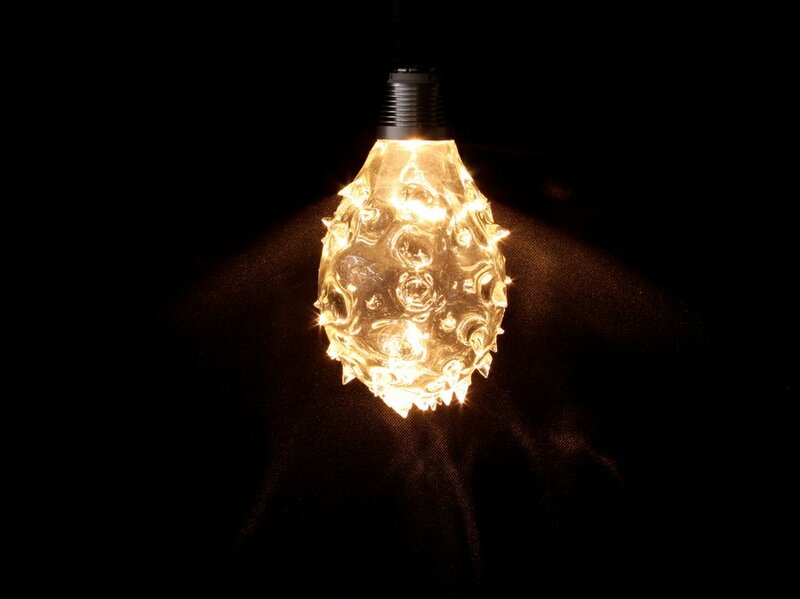 This LED dragon fruit is not edible and costs JYP 32,400. 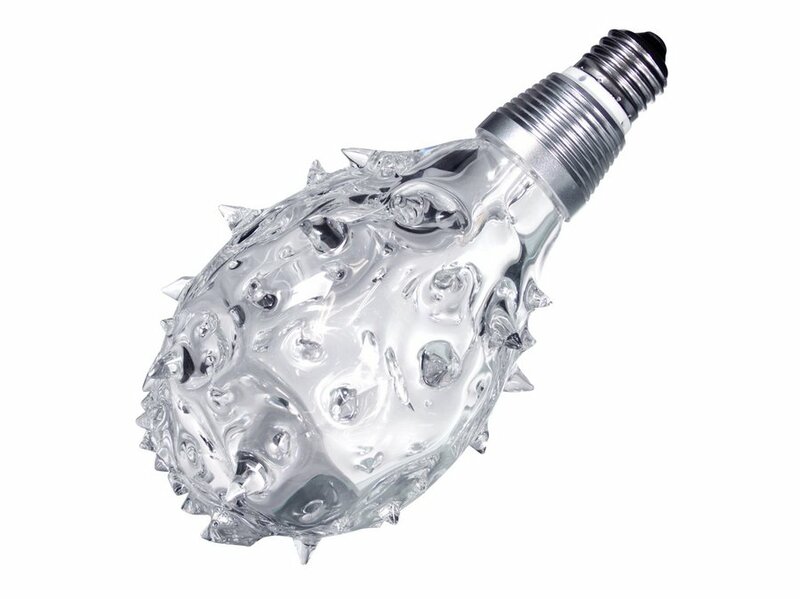 The prickly appearance is done by removing the glass from the furnace and quickly making scissor cuts in the molten glass.